Pinyin input methods, and may repair broken Chinese features for you too. Microsoft has once again released a free update to their Pinyin IME! Following are the basic requirements and an English translation of the installation process. This page will be updated as I learn more and as I hear from readers about your experience. A Simplified IME update for Win 7, Vista and XP (32- or 64-bit systems) is in this free download. This works with all versions of Office, including Office 2013, but this is not for Windows 8. 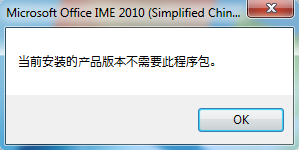 The Traditional (Taiwan/HK/Macau) IME has its own free 輸入法 2010 update that was released the same time as (but does not require) Office 2010. If you have broken or missing Chinese features, I recommend this MSPY 2010 update to repair an otherwise healthy system. For example, Pinyin ruby characters missing from MS Word's Phonetic Guide. Install this after system Language Packs to avoid replacing MSPY 2010 with older IME files. Here I'm referring to language packs for the overall Windows system, not an Office language pack. Installs on both 32-bit and 64-bit Windows. Many thanks to Sulien Miller for being the first to test this on a 64-bit system for us. The previous free update, MSPY 2007, installed only on 32-bit systems and required you to purchase the 32/64-bit Office 2007 Language Pack to get the same update for 64-bit systems. I have since installed the update on Win 7 x64 myself with no problem myself, but would be interested in hearing from you about your experiences with 64-bit Vista and XP. Depending on which download you choose and your system settings, the installer wizard may be in Chinese, but if you are on an English system your IME menus and Help files will still be in English after installation is complete. Do you get the following error message indicating you "don't need" this update? I have a solution: click here to download this version of MSPY2010.zip from my site. Right-click to extract it from that Zip file, and proceed with your installation. Someone at Microsoft China keeps releasing installers that check for Microsoft Office. I think Office is distributed in Chinese markets with Chinese language packs containing the latest IME updates, and so if it sees Office the installer assumes you already have the update. I got them to fix this once in the Taiwan/HK/Macau IME updater, but now it's back - in both versions! While we try to get someone at Microsoft to fix it again, you can use this older version I was lucky enough to save. The update is the same, the only difference is the installer. OK? Now let's continue with instructions to help you get through the Chinese language installation if that's the version you wound up with. Above you see the first screens in the installer wizard. First click the checkbox at the lower right to accept the End User License Agreement, and click the "Continue" button: 继续 (C). Next it will welcome you to the installer wizard, ask you to close all other applications, and remind you that this software is covered by international copyright laws. When ready, click the "Next Step" button: 下一步 (N). Then you will see the installation progress screen, and at the final step you should see a success message with a list of all the great new features in MSPY 2010. (This information is also in the Help files, in English). Notice two little boxes are checked by default and that I unchecked them: "Make MSN Chinese your home page", and "Make IE your default browser". 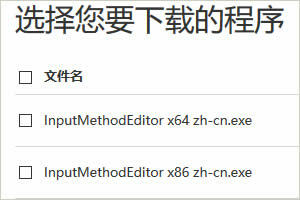 Now you can check the "Finish" button: 完成 (F). Restart your PC. On one system the update showed up in my Language Band before a restart, but on another it did not appear until after I restarted. It's always safest to do a nice clean restart after installing anything. The IME offers additional specialized dictionaries that you can select in the IME's Options settings, and then setup for automatic updates. 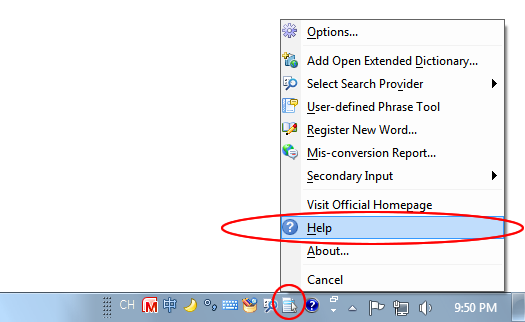 To get there, open the Options menu (see the screen shot in the next section), and at the top of that menu select "Options..."
On the Option menu, you will find "Help". The Help files include an Introduction, "What's New" and a Quick Guide to the new input styles — the updated "New Experience" and the new "SimpleFast" — plus a new Search Plug-in, a database of associations including the latest Internet terms which can be updated automatically, and 47 specialized "domain lexicons" that offer specialized vocabulary in professional fields like tech and medicine. FAQ: How do I get the "candidate list" to appear in the Windows PRC (Simplified) IME, and how do I adjust the list's appearance? And have you updated your Taiwan/HK/Macau IME? Please see my Traditional IME 2010 Update FAQ for more information. For Windows 7, Vista and XP SP3, and does not require Office 2010 or any other version of Office.